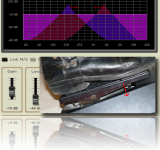 In this tutorial you will learn how to create an original Wah pedal-like stereo effect: the wah effect will move from the sides of the stereo field to the center when you push your foot controller. As a prerequisite, you should read our Wah Pedal tutorial so that you are familiar with the basics of MIDI control. This effect is of course suitable for a guitar track, but can be as well used for keyboards, organs, or even voices. 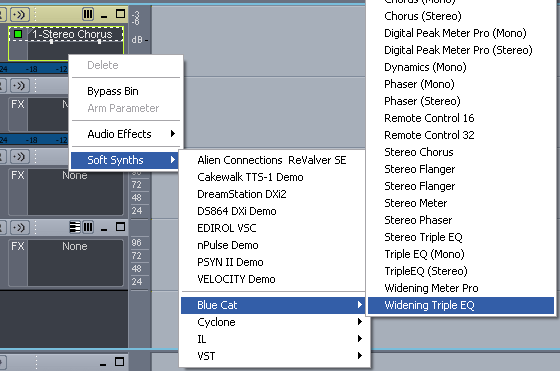 This tutorial uses Cakewalk Sonar 5, but it is applicable to any other VST or DirectX host software. 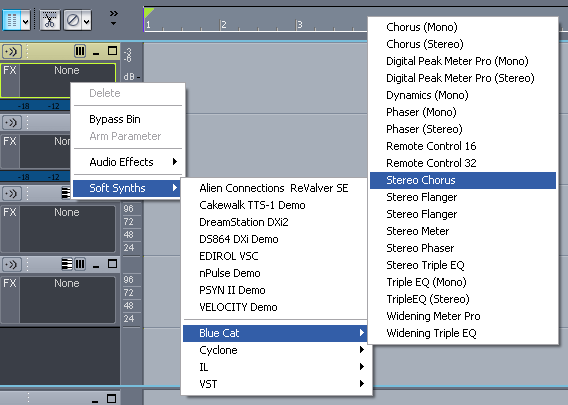 If you have issues setting up your host software to control MIDI parameters, please refer to our other Tutorials. 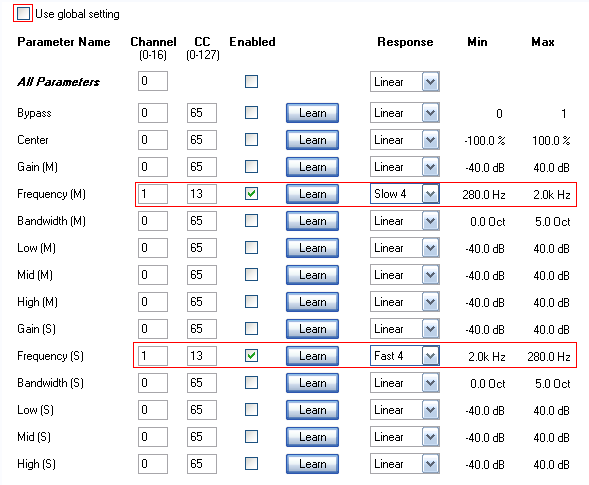 Vary the Mid and Side bandwith values between 1.5 and 4 Octava. The larger the bandwith, the less noticeable effect. Create a lighter effect if you reduce the difference between the Mid and Low/High bands values. 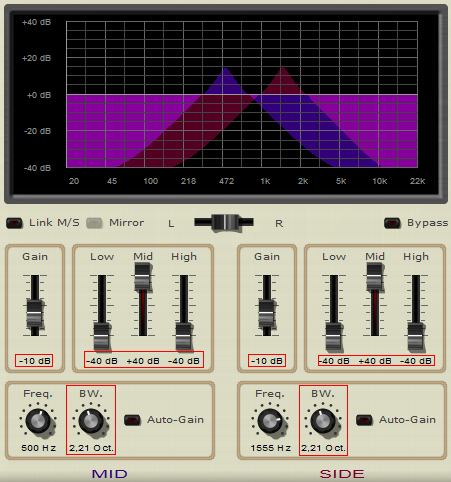 Increase the Stereo Chorus rate to obtain a rotary speaker-like effect. 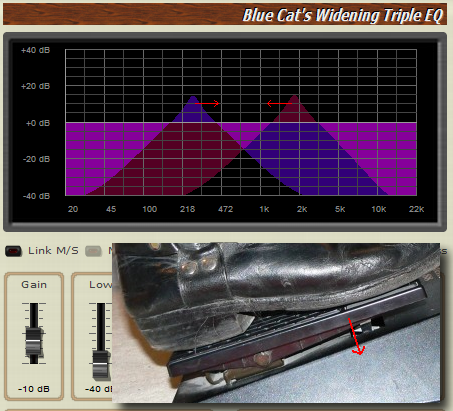 Customize the frequency range of your Wah pedal, as well as the response curve (see the Wah Pedal tutorial). You should also try to control the Mid and Side bandwidth parameters with the same MIDI controller (see the Wah Pedal tutorial). You can now enjoy your personalized real time Wah stereo pedal and experiment the same principles with other effects. You may want to have a look at our other Tutorials and learn other ways to create new sounds, as well as discover automation and MIDI control tricks.